A big part of going traveling and starting a new adventure is doing the research up front. Getting all the information you need to establish the best possible trip. Learning about the area, its history and its people, but also getting tips and tricks. Knowledge (and information) is key! Bukit Lawang Adventure was founded by an Indonesian-Dutch couple who loves traveling, nature and adventure. 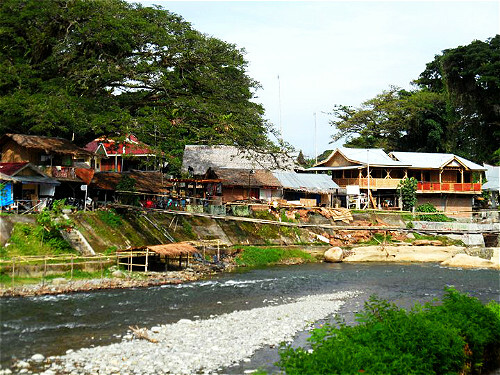 The small village of Bukit Lawang is our base and our favourite place to be. We mostly arrange Jungle Trekking tours, but there are many other things to do in and around Bukit Lawang. Lost in the depths of Sumatra, Bukit Lawang is a small riverside town built beside the rainforest of the vast Gunung Leuser National Park. In 1973 an orangutan rehabilitation centre was established in Bukit Lawang. This they called the Bohorok Orangutan Centre after the nearby town of Bohorok. Gunung Leuser National Park is a national park covering 7,927 km in northern Sumatra, Indonesia, straddling the border of North Sumatra and Aceh. 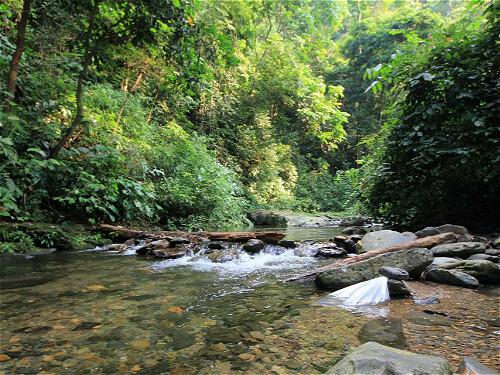 The flora and fauna of Bukit Lawang Mountain and lowland forests are breath taking. Both are vitally important genetic resource and wildlife habitat. 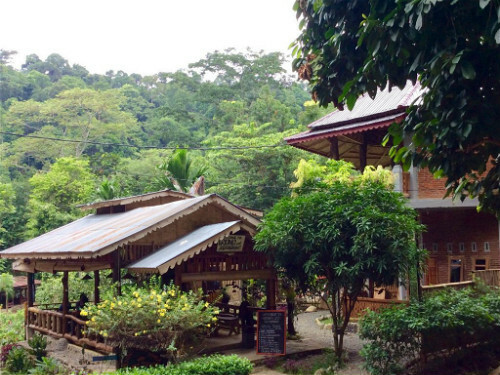 Bukit Lawang has many guesthouses to choose from. Most of them are located on the banks of the Bohorok River, which results in spectacular panoramic views from balconies, patios and restaurants. Most of the guesthouses have private bathrooms with cold water showers. 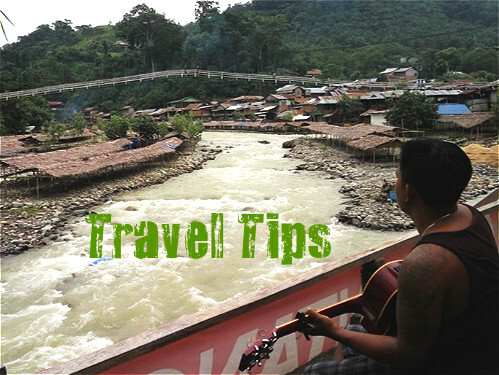 Information about transportation to and from Bukit Lawang, facts about Sumatra, the weather conditions and information about Sumatran culture. Read more about visa and money matters. We also provide information about health care and things to bring on your trip. "We had a great, safe and adventure time in bukit lawang with our great guide Nicco. These guys know all of the jungle and there hidden secrets! Great for all kind of people. And make sure you eat all of the delicious products that Nicco and the jungle can offer!" "I spent 6 months travelling around Southeast Asia and this was by far one of the most memorable experiences! Nicco and Leli were excellent guides! They were very knowledgeable and a lot of fun! 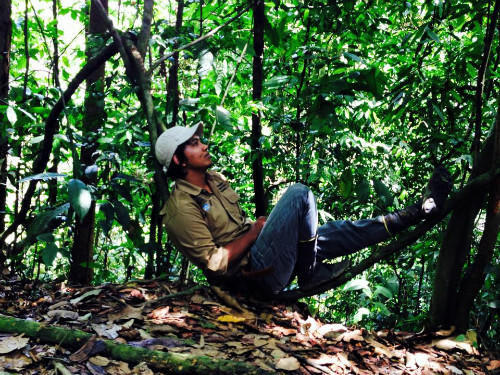 Seeing orangutans up close was a once in a life time opportunity that I will never forget." "What an incredible experience. Amazing scenery, delicious food and loads of it, wildlife I still can't believe I've seen with my own eyes and the friendliest, kindest, knowledgeable guides you'll find anywhere in the world. (....) If you're in Sumatra you can not miss this."